The holiday season can get a little crazy with all of the the shopping, decorating and wrapping a girl has to do! Why not take some time out with your friends to relax and host a girls' night in? Nothing fancy, just tell them to wear their sweats or yoga pants so that every one is comfy. I think this is the perfect time of year to have friends over because my house looks all festive and cozy with the tree, candles and holiday lights. 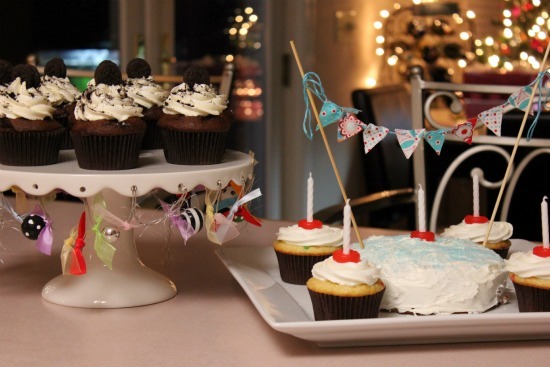 Cupcakes are always on the menu at my house. Pop some popcorn, put out a bowl of holiday colored M & M's and watch a movie together. 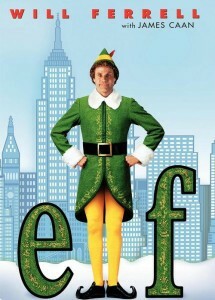 You don't even have to run to the Redbox since there are so many good holiday movies on television this time of year! 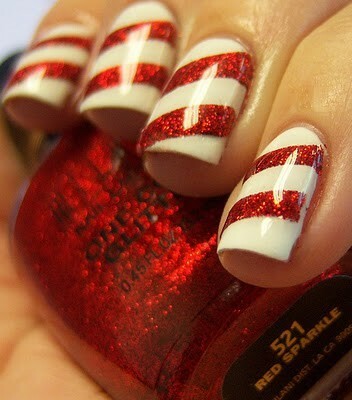 Give each other manicures so your nails look nice for any fancy holiday parties you may be invited to. Bake cookies together and have a cookie decorating contest. Let everyone take some home in a cute little holiday tin or gift bag. Whatever you decide to do, just relax, laugh a lot and have fun! !